Have you volunteered at a Portland Downtown #MiPortland (DDA/Main Street) event, committee, team, or as a board member in the last year? 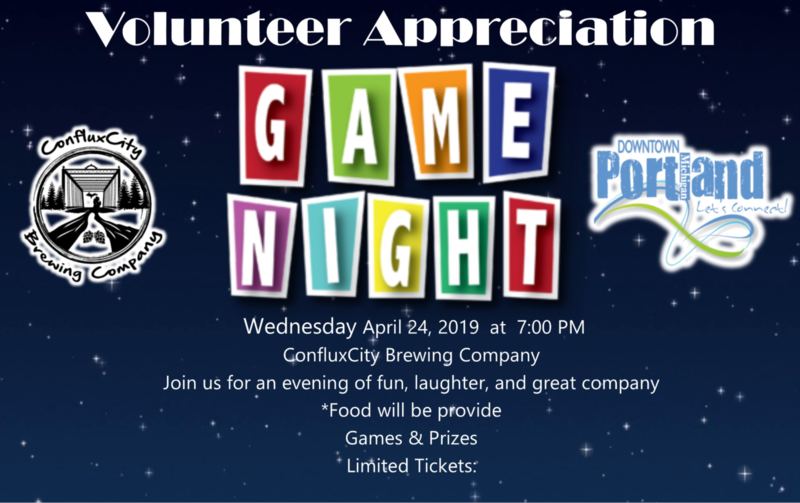 We have evening fun of fun and games to celebrate YOU, and other wonderful community members. Please Register Now (at the top) to let us know you'll be joining us. 7:15 PM- Let the games begin! !